Two rain-affected races didn’t decide any of GT4 European Series class championships at the Hungaroring, which means the sixth round at the Nürburgring just over a week from now will be a proper season finale. The Hungaroring paddock was buzzing with activity as teams had to adjust to the changing conditions and drivers and team managers discussed the recently announced provisional calendar. Here are the paddock notes from Budapest. Will Tregurtha and Stuart Middleton traveled to Hungary as the Silver Cup points leaders, but the HHC Motorsport drivers’ lead disappeared after an early retirement in Saturday’s race and an eighth-place finish in the second race on Sunday. Phoenix Racing’s Milan Dontje and Nicolaj Møller-Madsen’s seventh and fifth place in the two races meant they closed the gap to just six points, but the winners of the weekend were Max Koebolt and Simon Knap. 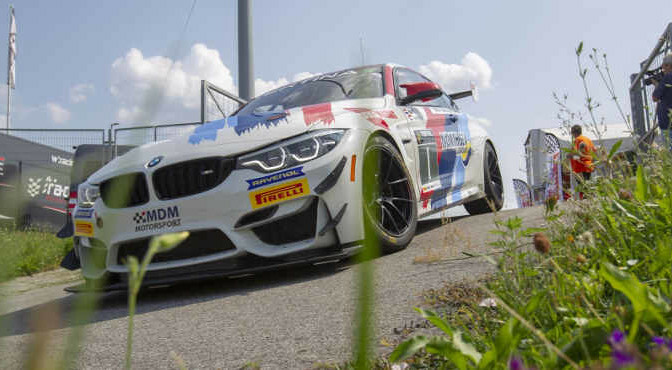 The MDM Motorsport drivers started the weekend in third place, 27 points behind Tregurtha and Middleton, but left Budapest as the new leaders after winning the first race and a sixth-place finish on Sunday. Koebolt and Knap head to the final round with a three-point lead over Tregurtha and Middleton. Racing One’s Markus Lungstrass kept the fight for the 2018 GT4 European Series Pro-Am title very much alive as he won the two races at the Hungaroring. The #13 Schwede Motorsport Porsche Cayman GT4 CS MR pairing of Marc Basseng and Phillip Bethke took the points lead during the first race weekend at Zolder, but with just one event to go their advantage over Lungstrass is just 3 points. Lungstrass’ former teammates Csaba Mor and Patrick Zamparini still have a chance to win the title, but their decision to switch to the Selleslagh Racing Team Mercedes-AMG GT4 in Hungary didn’t give them the results they wanted. As a result, they are now 36 points behind the Schwede Motorsport drivers, with Racing One’s Hamza Owega fourth at 47 points from the lead. Niki Leutwiler came to Hungary with a 40-point lead over Autorlando Sport drivers Alessandro Giovanelli and Giuseppe Ghezzi, but the Italian drivers kept the Porsche Zentrum Oberer Zürichsee by TFT Racing driver from clinching the title one round from the end. Both Leutwiler and the Autorlando Sport pairing claimed a second-place and a third-place finish at the Hungaroring, meaning the title could well be decided in the first race of the Nürburgring race weekend. Only when Ghezzi and Giovanelli finish on the podium and Leutwiler fails to score decent points the title will be decided in the final race of the season. The introduction of a new points system for the GT4 European Series Teams Trophy has resulted in an unprecedented number of teams still in contention for the title. This season, only the highest-finishing car per team scores points and it scores points depending on the category it is entered in. All other cars will be invisible as far as scoring points are concerned. Teams that have entered more than two cars have to nominate car numbers before Free Practice. After five of the six rounds seven teams can still win the title. 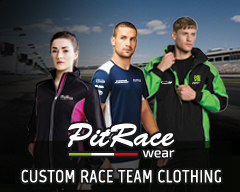 Racing One took the lead in Hungary and currently has a 10-point advantage over TFT Racing. Schwede Motorsport, Autorlando Sport, MDM Motorsport, HHC Motorsport and CMR also have a chance, albeit a mathematical for some of the teams. SRO Motorsports Group’s plans to expand to seven rounds in 2019 were announced at the Total 24 Hours of Spa press conference in July. All teams competing in the 2018 GT4 European Series were given the opportunity to give their feedback on the calendar and its impact at the Hungaroring. In 2019, five rounds are to feature a pair of 60-minute sprint races, while two three-hour endurance events are also set to take place. SRO will use the feedback to further improve the series and its regulations. Andy Meyrick was not racing at the Hungaroring as he is still recovering from an accident at the Total 24 Hours of Spa. 2017 British GT champion Seb Morris stood-in for his injured friend and manager in the #33 Bullitt Racing Mercedes-AMG GT4. Meyrick, who got married the day after the day after he was discharged from hospital, was in Hungary to support his team. The British racing driver looks forward to being back out on track at the Nürburgring and once again praised the marshals for their assistance after the crash. Liesette Braams and Luc Braams had been racing each other for many years but had never raced together in a championship. When Finlay Hutchison and Ricardo van der Ende were forced to withdraw from the event after their Equipe Verschuur McLaren had caught fire, an opportunity not to be missed presented itself. Luc Braams moved to the #11 Las Moras Racing by Equipe Verschuur McLaren 570S GT4 to race with his wife, while Finlay Hutchison took over his seat in the V8 Racing Chevrolet Camaro GT4.R alongside Duncan Huisman. The pair had a great weekend and Liesette Braams said she checked an item off her bucket list by finally sharing a car with her husband. The GT4 European Series might finish at the Nürburgring, it’s not the final GT4 race of the season. Several teams competing in the GT4 European Series have already shown interest to compete in the GT4 Sprint Cup Europe, which will support the DTM final at Hockeneim. There’s also substantial international interest in the SRO GT4 International Cup, which will take place at the Bahrain International Circuit on November 30 – December 2. Interested teams and drivers can still contact SRO Motorsports Group for more details and entry forms for the two events. The sixth round of the season will get underway on Friday 14 September, with Free Practice 1 (12.25). The start of the first race is scheduled for 16.55 on Saturday 15 September. The final race of the season will take place on Sunday 16 September at 10.05. Just over an hour later all the 2018 champions will be known.